All the countries of the United Nations Economic Commission for Europe (UNECE) region, including the most developed, are vulnerable to disasters. In the European Union, almost 100 billion euros were lost to disasters over the past decade. In Germany alone, the floods of June 2013 caused economic losses of over 10 billion euros, while in the Russian Federation the 2010 heat wave resulted in over 15,000 casualties. From 2001 to 2011 Tajikistan suffered economic losses from disasters equivalent to almost 60 per cent of the foreign aid the country received over the same period. The United Nations Plan of Action on Disaster Risk Reduction for Resilience calls on the United Nations system, both as individual organizations and collectively, to “make disaster risk reduction a priority”. 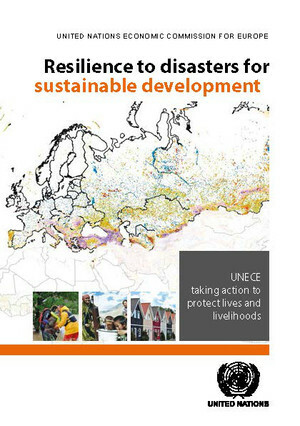 UNECE work plays a crucial role in disaster preparedness in its region and — through its recommendations, treaties and best practice — well beyond its boundaries. Many UNECE activities set out binding rules and obligations for States and international organizations that contribute to a more sustainable and resilient pattern of development. UNECE also promotes the increased implementation of international standards and other risk management tools by all stakeholders. A first outcome of this work is the UNECE Recommendation on “Crisis Management in Regulatory Systems” that presses governments to design and implement crisis management functions as part of the regulatory frameworks of all key economic sectors, integrating best practice from international standards in the management of emergencies.